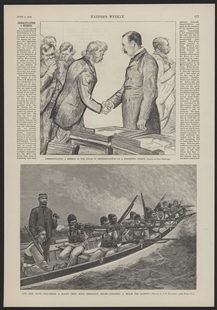 Gossip columns were all atwitter in 1888 with news that noted French artist Paul Rénouard had come to Washington to sketch the Capitol’s luminaries. Rénouard was already well-known in France through his pioneering work in magazine illustration. 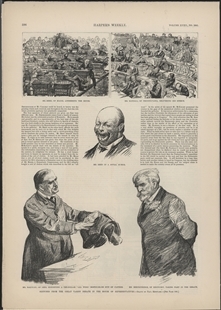 His gift for capturing the unposed moment and his artistic debt to the work of Honoré Daumier filled his American employer, Harper’s Weekly, with excitement that is evident in their praise of his work.